223 Mill Bay Road Kodiak, AK. 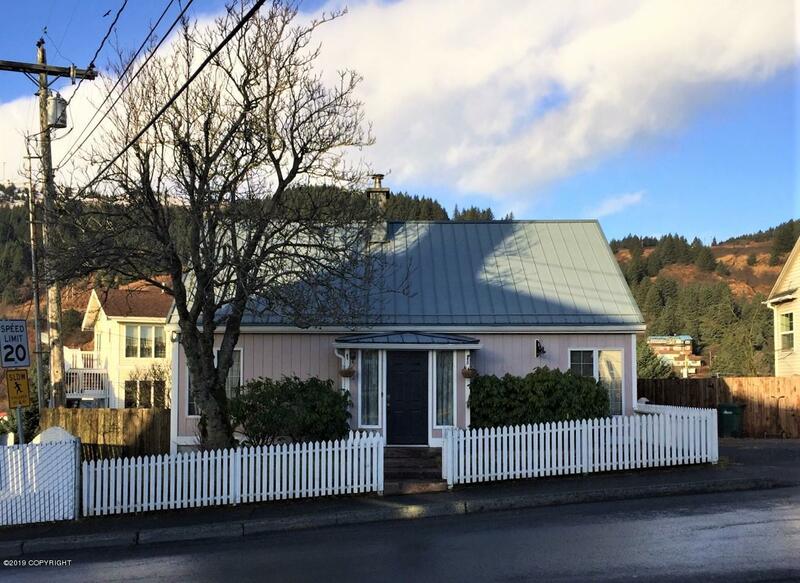 | MLS# 19-1073 | RE/MAX of Kodiak - Alaska Real Estate - "Honesty & Integrity...It's That Simple!" This home is the perfect blend of charm and function! Don't let the size from the curb deceive you as this is a large, three-level home that has retained many original details; glass door knobs, hardwood floors, detailed woodwork, and a living room fireplace (with wood stove insert!). Lots of storage throughout! All of the main living areas are on the street level, with twin bedrooms and a shared bath on the second floor, and a full finished basement below. The spacious, L-shaped, farmhouse kitchen sports a butcher block island with stool seating and warm pendant lighting, and is open to a large dining area with a wide bay window, french doors to the living room, and sliding glass doors to a back deck that runs the width of the house. The kitchen currently has an electric range but is plumbed for propane if desired. Summertime will showcase the beautiful landscaping, including rhododendrons, a mature lilac tree, rose bushes, raspberries, rhubarb, well-kept front and back lawns and completely fenced yards. You won't miss the garage due to a large, multipurpose, heated area that has functioned as a workshop and is ideal for storage needs. The dedicated, off-street parking area accommodates two vehicles and is just steps away from a side door that leads to an over-sized mud/laundry room, and into the kitchen. If you require a home office space, this home offers options for a public or private office. The possibilities for the fully finished basement are endless (family room, media, game room, exercise area, etc.). Note: This property has operated as a B&B.